University of Dubuque Heritage Center will close its sixth season of Live at Heritage Center Performing Arts Series with “Lyrics Alive,” a cabaret-style recital featuring three singers from the Lyric Opera of Chicago’s Patrick G. and Shirley W. Ryan Opera Center, on Friday, May 3, at 7:30 p.m. in John and Alice Butler Hall. 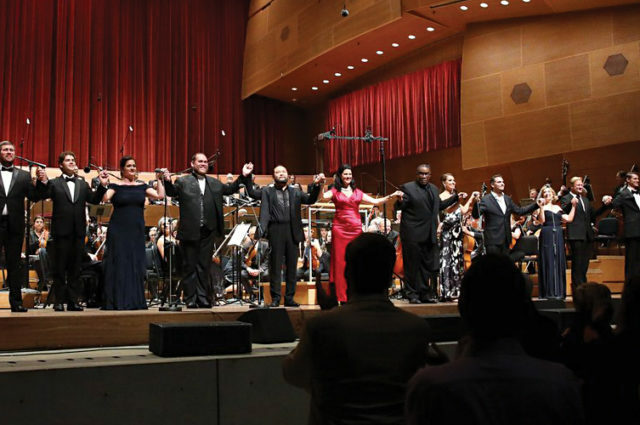 “Lyrics Alive” offers audiences a unique opportunity to witness three operatic talents from the Ryan Opera Center, Lyric Opera of Chicago’s artist development program. Dubuque native and tenor Eric Ferring joins soprano Ann Toomey and baritone Ricardo José Rivera in a diverse program with selections from a variety of genres including opera, Broadway, folk, jazz, and more, with piano accompaniment.